A short walk from Hyde Park, Albert Court was constructed in 1890 by Frederick Hemings and became home to the great and the good – including Howard Carter, the man who unearthed the tomb of Tutankhamun. 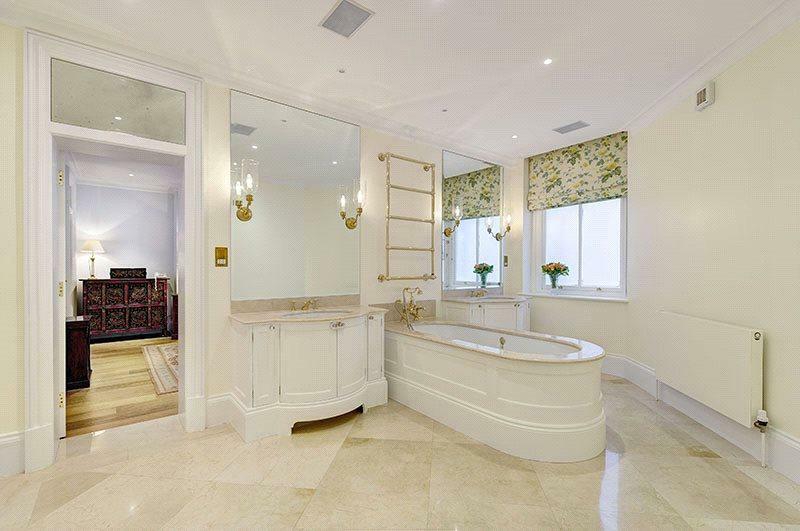 A magnificent two-storey apartment has now come up for sale in the block, on the market with Russell Simpson and Savills, priced at £9.75 million, which includes a share of the freehold. The mansion block Albert Court was originally conceived by the freeholders, the 1851 Commissioners, as the first stage of a larger private development involving the erection of four blocks of flats on either side of Prince Consort Road, flanking the Royal Albert Hall to the north and the Royal College of Music to the south. It was part of the masterplan for the area, with the Royal Albert Hall and the Memorial to the 1851 Exhibition, all undertaken under the auspices of the 1851 Commissioners and their architectural advisors, including Norman Shaw and Alfred Waterhouse. Building began on Albert Court in 1890 to the designs of Frederick Hemings but, following the collapse of developer George Newman’s backers, the liberator Building Society, in 1892 and the death of Hemings in 1894, the building had only reached 3rd floor level; Albert Court was leased for completion to the Albert Court Syndicate and finished to R.J. Worley’s designs between 1896 and 1900. 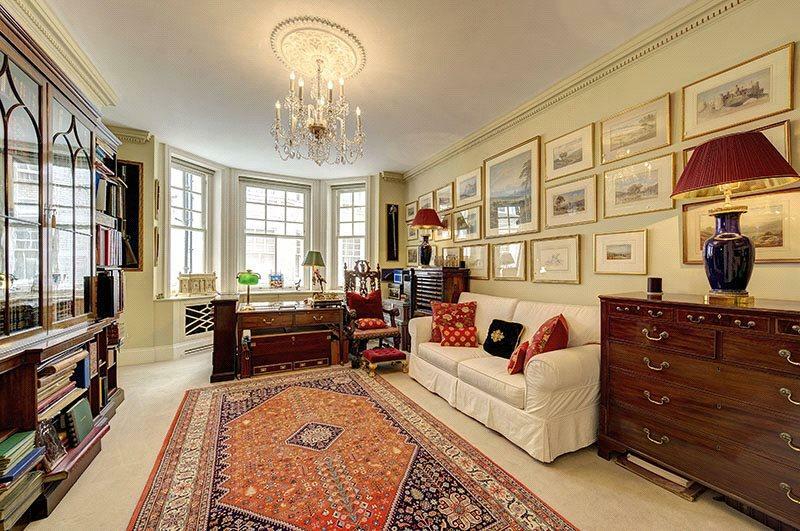 Spread laterally across the first and second floors the apartment boasts beautiful period features, two magnificent inter-connecting drawing rooms with high ceilings and views towards The Royal College of Music. Additionally, within the 4,347 square feet are a large kitchen/breakfast room, five bedrooms and a separate study which combine to provide ample lateral space for the perfect family home. Residents are treated to first class concierge and security, all of which operates from the concierge desk located in the breath-taking entrance lobby – one of the very finest in London. Albert Court is a short distance from the green and open spaces of Hyde Park and equidistant between Kensington High Street to the west and Knightsbridge to the east. The apartment within Albert Court is on the market with Russell Simpson at a guide price of £9.75 million – see more details and pictures.